Traditionally considered the easternmost city in the Bay Area before the Central Valley, Livermore is home to vineyards and ranches, magnificent estates and cozy neighborhoods alike. The city’s recently redeveloped downtown district features a wide selection of restaurants and retail shops and is steeped in history reflecting the cattle and wine industries that helped create this thriving community. Wine festivals, farmer’s markets and parades attract locals and visitors to the center of town year round to celebrate the bounties of the city’s agricultural heritage and spirit of the community. Whether sampling the offerings from a local vineyard or strolling the streets of downtown, Livermore is a place to stay and enjoy. 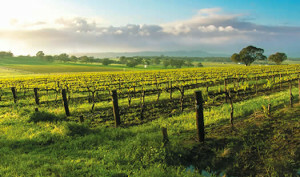 Wente Vineyards – beautiful vineyard with tasting rooms, top rated restaurant, and special events and concerts. The vineyard also features a popular golf course. Through out the year they host concerts and various events like those mentioned here. Concannon Vineyards – The name translated means ‘wisdom without compromise’ and they hold this true in their wines. They are America’s oldest ongoing winery! This beautiful vineyard is a great place to host special events, the property features amazing views and classic Victorian architecture. Livermore Premium Outlets – officially named the “San Francisco Premium Outlets”, they are home to over 100 name brand stores! Get great deals on brands like The North Face and 7 For All Mankind.